After two decades of following his story, Harry Potter needs no introduction. Ever since the first book came out, we have all been dreaming of entering Hogwarts ourselves. Harry Potter: Hogwarts Mystery lets us do just that. 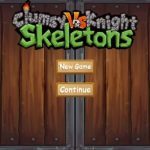 Available on Android and iOS, this role-playing game lets you create and customize your own student avatar. You will then enter Hogwarts as the infamous sister of a student who supposedly went mad and mysteriously disappeared. One of your goals in the game is to discover what really happened to your brother. Did he really work for He Who Must Not Be Named? Of course, as a first year, you will also need to attend classes, learn spells and potions, and earn points for your House. Your interactions with other students will also play an important role in how your story will play out. There is a lot of ground to cover here, so make sure you read our Harry Potter: Hogwarts Mystery cheats, tips and strategies to learn everything you need to know! Before you hop onto the Hogwarts Express, make sure you are connected to wifi. The game downloads data as you play, so it is important that you have a stable connection. There are several crucial parts of the story where you cannot afford to suddenly get disconnected. If your internet connection is poor to begin with, the game might not even load at all. Once you load Harry Potter: Hogwarts Mystery, you will be asked to create either a witch or a wizard, depending on the gender you prefer. You have a handful of options for face shape, skin color, hairstyle, nose, eyes, eyebrows, and lips. Other customization options, including outfits, will be unlocked as you play the game. Your first stop is the famous Diagon Alley. You will need a few books and a wand in order to prepare for school. This is also where you will meet your first friend, Rowan. After a bit of chatting, you will be asked for your name. The game then prompts you to enter your first and last name. Think about this choice carefully because characters in the game will be calling you by name in almost every other sentence. If you don’t feel like coming up with your own name, you can tap on the Random button and let fate decide. If you followed the book series, you would know that your first wand is somewhat a big deal. It’s not really clear if it has impact on the game, but the answers you give will help determine what kind of want you get from Ollivander. He will ask you a question about your brother and you will be given three options. If you answer that you were determined, you will be given an 11-inch inflexible hornbeam wand with a dragonstring core. Ollivander himself uses a similar want, and it is for wizards with unique passion. If you say you were angry, you will be given an 11-and-three-quarter-inch blackthorn wand with a unicorn hair core. It is a wand for witches with a lot of fight in them. Finally, if you say you felt sorry for your brother, he will give you a pliable 12-inch acacia wand with a unicorn hair core which is for sensitive wizards. As a side note, the soft launch of the game originally included a fourth option. If you say you wanted answers, you will be given the same wand as your brother. It is a 12-inch maple wood rod with a unicorn hair core. For some reason it was removed from the official launch, but it might make an appearance in future updates. As you probably already know, there are four Houses in Hogwarts: Gryffindor, Hufflepuff, Ravenclaw, and Slytherin. Feel free to choose whichever you like. Yes, just like in Harry Potter’s case, the Sorting Hat will actually listen to your choice. While the house you choose has very little impact on how the game plays out, it is still fun to be able to pick and represent your favorite. Once you have been sorted into a House, you will have to do everything you can to ensure you win the House Cup. Members of each House are rewarded with points depending on how they perform. Points are deducted when they break the rules or do something wrong. Avoid failing quests by waiting too long to complete tasks because these can lead to point deductions. On the other hand, you can also earn additional points for your House by answering questions in class. Keep in mind that questions will normally involve Harry Potter facts, so you better brush up. Winning the House Cup will reward you with 100 gems. This is the premium currency of the game, and it is very hard to collect for free, so make sure you do everything you can to win. 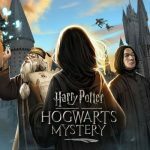 Aside from answering questions well during class, you can also earn more House points by completing the main story and making dialogue choices that uphold the values of your chosen House. Just think about the main characteristics of your House before choosing answers. If you want to check how you are performing in the House Cup, just tap on your character portrait. On the left side will be your House Crest. Below it is the current rank of your House as well as your total contributed points. Tap on the Rank button to see how each House is doing. Most scenes in Harry Potter: Hogwarts Mystery, including classes, will give you a bar with a number of stars on it. You need to fill the bar up in order to get stars. To fill up the bar, you need to perform tasks. You will notice some people and objects are highlighted in blue. Tap on them and you will see a task. Keep tapping until you complete the task. Keep in mind that each tap will consume one energy. You will have limited time to get those stars, so make sure you complete the tasks as soon as possible. The good news is, you get to choose a minor reward every time you acquire a star. Rewards include attribute points, coins, and energy. As you play Harry Potter: Hogwarts Mystery, you will probably get used to just quickly tapping on the Go button to get to where you need to be. Make sure you pay attention when you do this because some quests will start out with a gem cost. The gem cost will replace the Go button, which you might accidentally pay if you are not looking. Don’t worry because if you look closely, you will notice a small timer on that button. Once the time indicated passes, you will be able to start the quest for free. In the meantime, you may want to attend a couple of extra classes. You will see available lessons on the right side of the quest screen. Not only will you learn new spells, you also get to earn a few more points for your House. 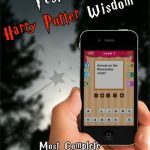 There are three attributes in Harry Potter: Hogwarts Mystery: Courage, Empathy, and Knowledge. Since this is a role-playing game, you may be inclined to prioritize a certain path according to who you think your character should be. For example, you might be tempted to focus only on Knowledge if you are Ravenclaw. Doing that may be fun and interesting, but it can also be counterproductive. As you progress in the game, there will be multiple scenarios where the choices you make will have an impact on your performance. Some of these choices are only accessible if you meet certain attribute requirements. If you focus on only one attribute, you may miss out on some of the good choices down the road. Rowan is your first friend in the game, but she won’t be the only one. You will meet new characters as you play the game, and you have the chance to make some new friends. You also have the option to strengthen your relationship with your friends by hanging out with them. The tutorial will walk you through the first one with Rowan, but you will still have to make choices yourself. You only have a limited number of attempts to fill up the bar while hanging out in order to strengthen your friendship. When you succeed, you will be able to improve your relationship with that friend, opening up more interactions with them in the future. To hang out with a friend, look for the handshake icon above their head. It will cost you a few coins to begin hanging out, but it is definitely worth it. Don’t expect the future hangouts to be as easy as the one in the tutorial. Your friends will have different moods, and you will have to choose your answers based on their mood. To check what their current mood is, tap on his or her photo on the top left corner. You will see one of the three attributes. Use this when selecting answers during the interaction. Aside from that, you will also see recommended attribute levels before starting a hangout. If you do not meet the attributes, it is best that you wait until you do. As the sister of a notorious former student, you will get bullied a lot by fellow students. You will often encounter students who will want to duel with you. This is indicated by an icon that has two wands crossing above their heads. Make sure you check the recommended attributes before you proceed with a duel. If you do not meet the recommendations, it is better if you improve your attributes first. You are getting bullied enough, don’t let them beat you for free. Once you enter a duel, you will be given three options: Sneaky, Defensive, and Aggressive. There is no best option because it will all depend on what your opponent will choose. It works similar to Rock-Paper-Scissors. Use Sneaky to defeat Defensive, Aggressive to defeat Sneaky, and Defensive to defeat Aggressive. Keep these things in mind and you just might win that duel. Maintaining your energy can be one of the biggest problems you will encounter in Harry Potter: Hogwarts Mystery. As we mentioned before, every little task you do requires energy. If you run out of energy, you will have to wait for it to regenerate over time or pay gems to replenish it instantly. Since you most likely would not want to spend real money just to refill your energy every few minutes, you should manage your energy properly. Aside from that, make sure you keep an eye out for house elves. Tap on a house elf as soon as you see it and you will be able to refill your energy for free! There are also several hidden locations around Hogwarts that will give you a few energy points for free. You won’t be able to tell that they are special until you actually tap on them. Keep in mind that if your energy is full, tapping on these hidden items will not make your energy go over the limit. Make sure you only go energy hunting when you are low to avoid wasting the free points. Check out the list of secret locations below. East Towers – Tap on the painting of a woman in a white dress beside the Charms classroom. West Towers – Check the nature painting beside the Prefect’s bathroom. Lower Floor West – Look under the stone fire stand to the right of the Great Hall. Lower Floor West – Check the middle stone knight statue to the right of the Great Hall. Dungeons – Tap on the house elf to the right of the Kitchens. Castle Grounds – Tap on the stick in the foreground in front of the Whomping Willow. Dressing up your character does not have any impact on gameplay, but it does help make you feel like you really are in Hogwarts. You will be able to choose some basic clothing options after you escape from the Devil’s Snare in the beginning of the game. After that, you will need to purchase additional outfits using gems or coins. Most outfits will be locked in the beginning. You will have to meet the level requirement before you can even be eligible to purchase those clothes. Money can be quite difficult in this game. Both gems and coins are hard to come by. When you look into the outfits available for purchase, you will notice that the prices are pretty steep. If you are really determined to unlock more outfits quickly, you can choose coins or gems as rewards whenever you complete tasks during quests. Keep in mind, though, that you will be missing out on attribute points if you do this. There is really no need to rush through the main story quests in the game. It might sound urgent for you to go meet this or that character right away, but there is really no impact on the outcome if you make them wait. Instead of proceeding to the next part of the story right away, try to squeeze in a few extra classes in between quests. In fact, it is highly recommended that you repeat each class multiple times during each chapter. Classes help raise your attributes. The higher your attributes are, the easier it will be for you to progress in the game. The deeper into the story you go, the higher the attribute requirements will be. If you don’t work on your attributes early on, you will end up encountering conversations where you are left with a poor choice because the other ones are locked. You will be missing out on potential House points, or worse, you may even lose points. Channel your inner Hermione and start grinding those classes like there’s no tomorrow. One thing you should remember in Harry Potter: Hogwarts Mystery is to ensure you have full energy before you begin a class or a quest. As we mentioned on numerous occasions, you need energy for every step you take when in a class or a quest. Also, classes and quests have time limits. That means if you go in with low or no energy, you will waste a lot of time waiting for your energy to regenerate. On top of that, you will not be able to explore the campus grounds in search of free energy in the middle of class. That means you will be stuck with nothing to do but stare at the screen until you have enough energy. You might even end up failing your task because you ran out of time to complete everything. Grab your wand and your broom because it is time to go on the ultimate adventure in Harry Potter: Hogwarts Mystery! Stick to our strategy guide if you want to become the best wizard Hogwarts has ever seen! You can leave class during lectures. You hit the button of an open door with an arrow in the lower right hand corner. I do this to check for extra energy points around Hogwarts when needed. It doesnt affect the class at all. You can jump back in right where you left off. What does the green and red arrows with a number under it mean in the leaderboard? Green number means they gained their house that amount of points recently, red means they lost that amount. why did the costume I’m wearing disappear from the shop? Is it due to an update? I’m sorta scared to change costumes bc I like this one. – Hogsmede: click on the person at the end of the alley just past the Three Broomsticks. You can also now get energy from your pets.